Discussion in 'HAARP' started by ssfor27, Apr 15, 2015. 1.) Check the Storm Prediction Center's convective outlook for the upcoming days. NOTE: Be SURE to use a weather web site with really cool graphics like Intelliweather that represent the AP like mushroom clouds, or use College of Dupage and its really awesome Star-Warsy graphics. This will ensure your viewers are even more enraptured. 3.) Warn your viewers to watch the "pulsed" areas for upcoming severe weather and make sure to take a screen capture that isolates the area the Storm Prediction Center has given an "enhanced risk" to in the upcoming days. This will hedge your bet that something will happen in those areas. In this latest post he attempts to explain how his "HAARP Rings" only appear on a single radar and not all the radars within a "pulsed" area. Nice try Dutch. No, it's normally because its an internal malfunction or calibration issue with that singular radar. quote: "The excess pulsing of the high power microwave transmitters induces electron precipitation..."
I think the green blobs of non-precipitation returns in his recent screen shots (TX Gulf Coast to Georgia and then the upper Mississippi Valley) are clutter caused by nocturnal bird migration, clutter that is improperly displayed by Intelliweather. Such returns occur behind the storms in the fall which did lead to dutch making some really bad predictions of storms in 24-48 hours even though the "haarp rings" were occurring in the wake of departing weather. He'd try to claim that weather that hit 3-5 days later when the next from came was caused by the haarp rings. That's an odd stretch given that he's saying here that the storms are being caused by the transmitter heating the air above the unit. I can't quite figure out how heating the air over a site will cause a storm at that site day+ later. The air over that transmitter is long gone by the time the storms happen. Plus I don't think he's ever done the math to see how much heating can occur when you spread the NEXRAD transmitted energy over 1000s of cubic kilometers of air. Note that he is still claiming the Slobodan Tepic created rotation in a lab using microwaves. Tepic did not demonstrate his "theory". Whether it is biological targets or ground clutter from anomalous propagation or some internal malfunction, Dutch will claim that it is weather modification. Fact is, the "anomalies" he points out are always something other than what he claims. RADAR only detects a narrow band of radio frequencies. The receiver shows the return via the computer that interprets what the antenna detects. The transmitter “shows” nothing. Furthermore, the “rings” in this case show at one radar but not at adjactent radars because it is stuff relatively low to the ground that shows on base reflectivity. The adjacent radar shoots over top of it. That is why I can see on the KMLB NEXRAD the tree swallows returning to their roost near Lake Washington in Melbourne, FL a few miles from the KMLB NEXRAD but that clutter does not show up on JAX, MCO, or TBW radars. I can see precipitation over Lake Washington on all of those radars but the birds returning to roost in the evening only show up on the nearest radar because they are low when returning to roost. The roost ring that forms in the morning is picked up by KTBW because the swallows fly quite high when they depart but they are low when returning. The pulses are apparently radar bloom. After sunset, cooling near the surface refracts the radar beam towards the surface, resulting in enhanced reflections by low-flying insects and debris as well as ground clutter. I've seen these quite often on national radar loops; they progress in a wave from east to west as the sun sets. I disagree that this is an example of "radar bloom" due to refraction. The areas in question had southerly winds and were not experiencing a temperature inversion. It takes a strong thermal inversion to cause refraction of the signal. You can check the relative velocity for the affected radars and rule out ground clutter as well. The targets causing the clutter around the radar on the night that dutch made his screep caps were moving from south to north with the wind. If you watch the following timelapse of radar for an entire year you see the "radar bloom" as captured by dutch seen in the opening post of this thread. It occurs in the spring ahead of cold fronts and in the fall behind cold fronts and is heaviest along the Mississippi and Atlantic fly-ways. Ground clutter will show up as discreet clumps of targets that aren't moving in a uniform direction, such as when an inversion over the Chesapeake Bay bends Wakefield's NEXRAD signal and it ends up picking up traffic on the Chesapeake Bay Bridge Tunnel. Yah I stand corrected. It was most likely birds. But birds, bats, inversions or other benign causes, it was NOT weather manipulation as Dutchy proposes. Re-reading that post, it is so sad that so many tens of thousands of people can buy into his garbage. He completely exposes himself as a fraud with absolutely ZERO understanding of the mechanics of weather radar multiple times in that post. Just as an example, magnetrons and klystrons do not exist simultaneously in the same application. They are differing types of microwave tubes and magnetrons are not used in the WSR-88D. Nor is the transmitter (which is where you'll find the klystron tube) located in the dome. But hey it sounds awesome! Err..uh....you see, the uh magnetron works in conjunction with the klystron oscillator crystal tubing to produce a large frequency charge that ignites the...uh....differential compensator in the waveguide for targeting and pulsing...uh....resulting in cascading cloud condensation nuclei and localized heating forming scalar squares.....and....uh.....2 days later we get storms in the area...yah, that's it.....donations for continued research anyone? Yep, point stands. Dutchsinse prognostication = Find non-precipitation returns on radar that look funny and blame those for subsequent weather and completely ignore all of the many sources of non-precipitation returns on radar displays. His "confirmations" rely on confirmation bias and a lack of theory testing. Whether he understands the mechanics or not, he could plot the location of NEXRAD units and the location of all confirmed tornados or other significant weather like hail in a given year. He could then run a spatial analysis to see if there is any correlation. The severe weather reports for 2014 do not appear to cluster around any particular radar. The distribution of reports looks pretty random, although there does appear to be a higher concentration around cities and towns which makes sense considering that the data is mostly from eyewitness reports. Any clustering apparent around certain radar stations is due to the strategic distribution of radar in areas that are more prone to severe weather and more densely populated, and the fact that most radar stations are located in the vicinity of major population centers which increases the chance of somebody reporting severe weather there. Regarding the radar signatures in Texas, I wouldn't be surprised if that was a fallout event. Many thanks to those who donated so far! Thanks to your help, I was able to order the lasers, but also additionally, was able to order 6 Ultrasound Transmitters, an 80,000volt DC buck up converter which takes 3V and steps it up to 80,000V .. 1 pyroelectric sensor, 1 humidity and temperature sensor, and a few other interesting items which will come in handy doing the plasma direction experiments. Also on order, 10 separate 2.45GHz wireless transmitters, 2 breadboards, 10 circuit boards, 3 low pass filters, new regulated DC power source, and a partridge in a pear tree. Many thanks, and expect videos over the next few weeks, and months showing the unboxing of the items ordered , and experiment results. Looking at the timelapse, the pulses suggest some sort of diurnal phenomenon that develops from east to west, occurring under certain conditions. It could be birds/bats/insects, refraction, or both, at different times. As an aside, I thought these blooms were originally attributed to HAARP. Now that HAARP has shut down (or HAS it...? 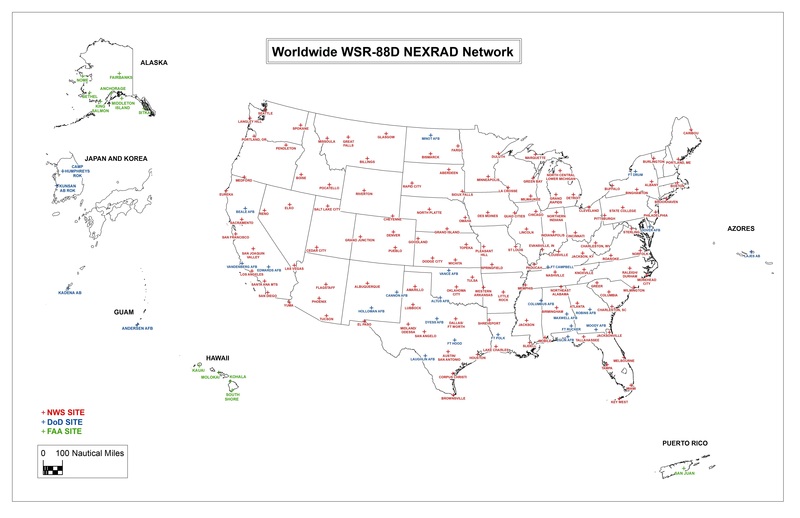 ), is Dutch claiming that NEXRAD is now taking HAARP technology nationwide or something? oh yeah, they all talk about multiple HAARP stations in other places round the world with nothing whatever to back that up. Dutch still convinced it's a MAGNETRON pulling the storms to the NEXRAD even though the WSR-88D does not use a magnetron, nor would a magnetron ever be found "inside" a klystron. They are both types of microwave tubes used in different applications. He is so utterly clueless. But his recent infatuation with the term magnetron makes it easier for his followers to visualize the radar pulling the storms in, like a magnet. It's May....it's Oklahoma...huge outbreak of storms...MUST BE MAN MADE!!! NEVER HAPPENED BEFORE! Oh and by the way, I've read your posts on the weather radar and the information has only confirmed what I have researched about NEXRAD and HAARP. Thank you!!! And today on Dutch's FB page he's got a fundraiser going for research on plasma, weather modification, earthquake prediction book. This guy is over the top! Geeze Louis!